For its 100th anniversary, the FBI recalls the century's most infamous crimes. On July 26 the Federal Bureau of Investigation will celebrate its 100th anniversary. To commemorate, the bureau has put together a history series, "FBI 100," that details some of the most significant and high-profile cases of the last 100 years. The bureau originated with the passage of a 1907 law prohibiting Secret Service operatives from conducting federal criminal investigations. Attorney General Charles Bonaparte, under President Theodore Roosevelt, assembled 10 former Secret Service agents to become special agents within the Department of Justice. Bonaparte's successor, Attorney General George Wickersham, later named the force the Bureau of Investigation. Considered the birth of the FBI, the small group of 10 later grew into the agency that now employs more than 30,000 people. Since its creation in 1908, the FBI has been involved in some of the most celebrated criminal cases of the century. 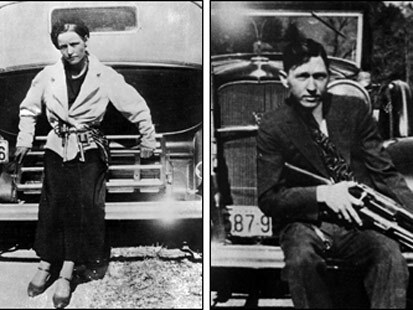 Immortalized on the silver screen, Bonnie Parker and Clyde Barrow were the most notorious crime couple in American history. They were said to fall in love instantly when they met in January 1930. Just a few days later 19-year-old Bonnie helped Clyde — at 21 already a multiple felon — escape from jail. After that, they were forever partners in crime. From the summer of 1932 to the spring of 1934, the Dallas couple crossed the country in stolen cars, robbing gas stations, grocery stores and sometimes banks. Though Bonnie never fired a gun, Clyde murdered at least a 12 people, including policemen and bystanders. After joining the chase for the infamous couple in 1933, the FBI discovered ties to the Methvin family in Louisiana and ultimately persuaded them to help. In May 1934 the unsuspecting couple slowed to help Ivy Methvin on the side of the road with an apparently broken down truck. Hiding in bushes, the FBI ambushed the duo and killed the lawless lovers. 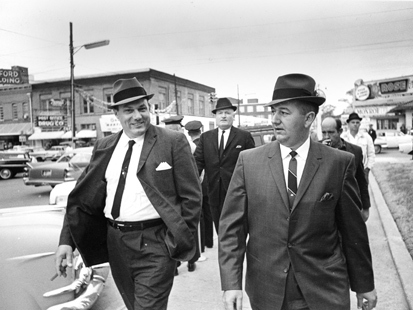 Deemed the Odd Couple of Crime, Albert Nussbaum and Bobby Wilcoxson were complete opposites. All they shared, it seemed, was a lust for crime, and together they robbed banks across the nation. Nussbaum, believed to be the brains of the pair, was a student of crime, constantly perusing books on explosives, electronics, criminal investigations and firearms. Wilcoxson brought the brawn to the team, carrying heavy weaponry and intimidating bankers with his intimidating size and booming voice. The unlikely pair met in an Ohio prison and reconnected after release, robbing their first bank in Buffalo in 1960. But by June 1961, they made their first mistake: the FBI lifted Nussbaum's fingerprint from a homemade bomb, meant to distract police from the bank robbery, that failed to detonate. Their fifth bank robbery, in which they recruited accomplice Peter Curry, landed them on the FBI's "Top Ten" fugitive list after it went terribly wrong. A customer fled to alert police while Wilcoxson killed a guard, and the three barely escaped. Curry was arrested soon after and revealed all he knew about the murderous pair. Forced into hiding, Nussbaum and Wilcoxson used alias and disguises and robbed three more banks before going separate ways after a falling out. Lost without his partner, Nussbaum contacted his estranged wife, who turned him in. Wilcoxson was caught six days later and the two ultimately pled guilty and were sentenced to life in prison in February 1964. After making his historic nonstop flight across the Atlantic, aviator Charles Lindbergh and his wife hoped to avoid the media spotlight by retreating to rural Hopewell, N.J. But their dreams of private peace were shattered on March 1, 1932, when someone leaned a ladder against their house, climbed through a window and took the couple's sleeping 20-month-old son from his nursery, leaving behind only a ransom note demanding $50,000. 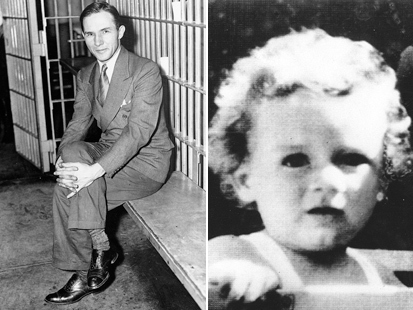 More ransom notes led to a meeting, where Dr. John Condon represented the Lindbergh family and paid a man who called himself "John" $50,000 in gold certificates for the child's safe return. It didn't work. The boy's body was found on May 12 of that year — less than five miles from the Lindbergh home — killed by a blow to the head soon after the kidnapping. Working with Condon, the FBI developed a sketch of "John" and determined from studies of the ransom notes handwriting that he was German. Following reports of gold certificates that matched the ransom money, the FBI closed in on New York City. A gas station attendant wrote down the license plate of a car used by a man who cashed one of the gold certificates. Bruno Richard Hauptmann, a German carpenter living in the Bronx who closely resembled the FBI's sketch of the suspect, was arrested in September 1934. Hauptmann's handwriting matched the ransom notes, and more ransom money was found in his home, as were and tools matching tool marks on the ladder from the crime scene. He was convicted and sentenced to death in 1935. On Friday, February 26, 1993, a massive eruption in the parking garage beneath the World Trade Center in New York created a nearly 100-foot crater extending many stories deep and several more high. The blast killed six people instantly, and many more were soon trapped by the smoke and flames that began to fill the void and permeate the structure above. With injuries ranging from crushed limbs to sprains, more than 1,000 people were hurt. Before the Sept. 11, 2001, terrorist attack, the 1993 bombing of the World Trade Center was one of the worst acts of terrorism the city had ever seen. A van stolen the day before the attack was suspiciously destroyed in the rubble. On March 4 an FBI SWAT team arrested Mohammad Salameh, an Islamic fundamentalist who had rented the vehicle and tried to get the deposit back. Clues from his arrest led to the discovery of the apartment where the bomb was created, a storage locker with enough cyanide to wipe out an entire town, and ultimately the arrest of three more suspects — Nidal Ayyad, Mahmoud Abouhalima and Ahmed Ajaj. Each was convicted and sentenced to life in prison. The arrests led the FBI and New York's joint terrorism task force to a greater plot to simultaneously bomb multiple New York landmarks, including the United Nations building and the FBI building. 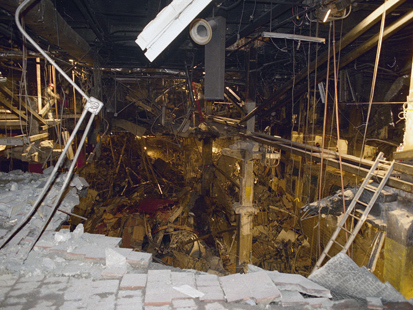 In June 1994, the FBI stormed a warehouse and caught other members of a terrorist cell assembling bombs. The mastermind, Ramzi Yousef, was ultimately captured in Pakistan in 1995. He was planning an attack on the U.S. involving airplanes. His uncle, Khalid Sheikh Mohammed, later became the alleged mastermind behind the Sept. 11 terror attacks. 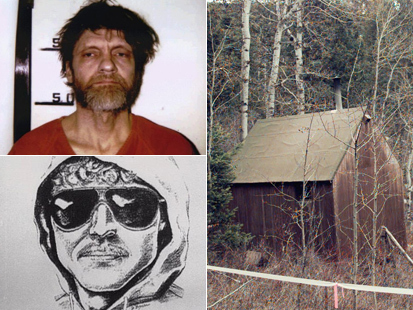 Ted Kaczynski, known as the "Unabomber," is now almost a household name. But during the 20-year investigation following his first bomb at the University of Illinois at Chicago in 1978, he was the perfect anonymous killer. During his 17-year bombing spree he killed three Americans, injured 24 and instilled widespread fear and panic with threats to blow up airliners in flight. His nickname is derived from the 1979 task force created to investigate his crimes, called "UNABOM" for the UNiversity and Airline BOMbing targets involved. Forensic examinations were virtually useless, as Kaczynski was extremely careful to avoid leaving clues by creating bombs from untraceable scrap materials available anywhere. And his victims were targets randomly chosen from library research. In 1995 the Unabomber sent the FBI a 35,000-word essay detailing his motives and objections to modern society. Despite initial hesitations, the FBI released the manifesto to the public, and David Kaczynski contacted the FBI and suggested it might have been written by his troubled brother Ted. On April 3, 1996, the FBI arrested Kaczynski in his 10-foot-by-14-foot cabin near Lincoln, Mont., where they found an arsenal of bomb components, 40,000 revealing journal pages and one live bomb. Kaczynski pleaded guilty and was sentenced to life in isolation at a "Supermax" prison in Colorado. 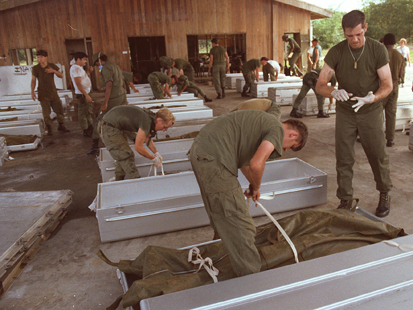 Jonestown was a makeshift settlement of more then 900 people in the jungle of Guyana created by Jim Jones and his cult-like following, called the People's Temple. Reports began to surface about the group, suggesting abuse, forced labor, imprisonments, the use of drugs to control behavior, suspicious deaths and mass suicide rehearsals. In November 1978, California Rep. Leo Ryan brought the press to check out the rumors and learned that many members wanted to leave with Ryan. The congressman ordered two planes to bring the entire group to escape together, but as they assembled on the airstrip, armed men from Jonestown emerged in trucks, opening fire on one plane while one member of the sect, Larry Layton, began shooting from inside the plane. Ryan and many others were killed. Arguing that their attack on the planes would bring Jonestown residents harm, Jones persuaded more then 900 sect members — including more than 200 children — to drink a fruit drink laced with cyanide. 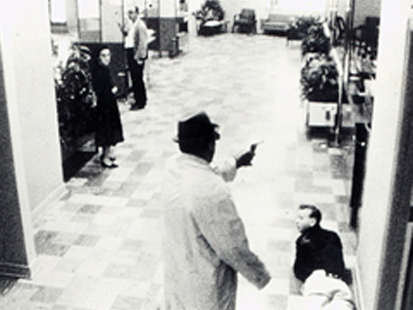 Along with the poisoned followers, Jones was found dead, with a gunshot wound to the head. An extensive investigation involving the few survivors of the Jonestown disaster led to the arrest of Larry Layton, who was the only member of the Peoples Temple tried in the U.S. for crimes at Jonestown. He was sentenced to life in prison. 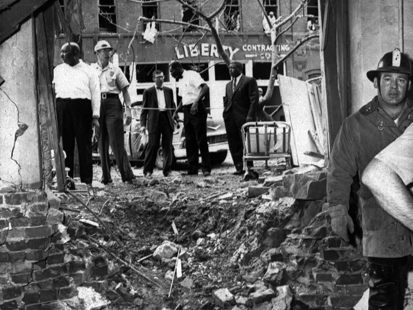 On Sept. 15, 1963, a dynamite bomb exploded in a Birmingham, Ala., Baptist Church, killing four African-American girls and injuring more than 20 others inside. The crime was an act of racial hatred on the church, which hosted key civil rights meetings and had been the target of many bomb threats. The FBI launched an investigation immediately and continued throughout September and October as agents infiltrated the Ku Klux Klan and other local anti-black groups. By 1965 the FBI had serious suspects, including KKK members Robert E. Chambliss, Bobby Frank Cherry, Herman Frank Cash and Thomas E. Blanton, Jr. But locals were hesitant to talk and there was little physical evidence. Ultimately, Chambliss's conviction and life sentence in 1977 led to the cooperation of previously reluctant witnesses, and after the case re-opened in the mid-1990s, Blanton and Cherry were convicted and sentenced to life in prison in 2000. Cash had died in 1994. One of the first acts of terrorism on U.S. soil still remains a mystery. 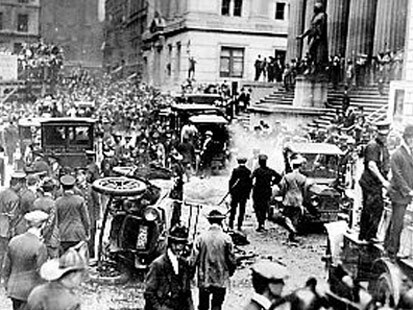 The flood of Wall Street lunch-goers didn't notice a nondescript man on a horse-drawn cart outside the U.S. Assay Office on Sept. 16, 1920. After the man quickly disappeared into the crowd, the cart exploded, killing more than 30 people and injuring near 300 as metal fragments rained from the sky. Speculations of conspiracy and terrorism abounded, but crews cleaned the damage overnight (not realizing they were destroying crucial evidence), leaving almost no clues behind. The best tip came prior to the explosion. A letter carrier found four crudely spelled and printed flyers in the area from a group demanding the release of political prisoners. The group, called the "American Anarchist Fighters," resembled the Italian Anarchists that used similar flyers in two prior bombing campaigns. The FBI originally suspected followers of Italian Anarchist Luigi Galleani, but the case couldn't be proved and promising trails became dead ends. A Brooklyn newspaper boy dropped a nickel in 1953 and the coin split in half, revealing a miniature photograph with a series of numbers too small to see. As he picked it up, he was unaware that he held the nation's security in his hands. Deemed evidence of counterintelligence, the nickel made its way to the FBI. The bureau began questioning people who handled the nickel and novelty store owners who might sell similar products, but they got no leads. 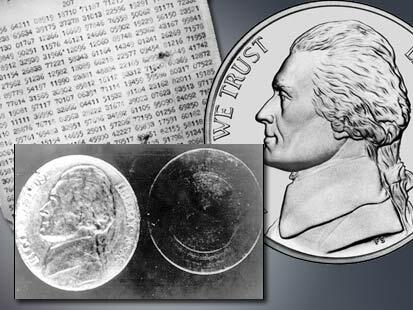 FBI Lab scientists in Washington, however, realized the coin's type-print came from a foreign typewriter, and that the photograph was a coded message, but they couldn't crack it. Four years later, when Russian spy Reino Hayhanen defected to the U.S., he led agents to a "dead drop hiding place" where the FBI found a hollowed-out bolt with a typewritten message inside. He shared similar hollowed-out items, including a coin, and the connection was made. Hayhanen aided in cracking the code, which put them on the trail of Soviet spy Colonel Rudolf Abel, who Hayhanen believed to be the nickel's owner. Abel was convicted and sentenced to jail in 1957, but he evaded his prison time as he was exchanged for an American pilot, Francis Gary Powers, who was shot down over the USSR. The so-called "Freedom Summer" marked a massive three-month initiative to register southern African-Americans to vote as a counterattack to the Ku Klux Klan's campaign of fear and intimidation. In June 1964, the Klan in Mississippi responded, targeting New Yorker Michael Schwerner, a key figure in organizing local boycotts of biased businesses and voter registration. On June 16, acting on a faulty tip, the Klan searched a local church meeting for him. When the discovered he wasn't there they burned the church and beat the churchgoers. Schwerner arrived on June 20 to investigate the fire. He and two fellow activists were arrested by Deputy Sheriff Cecil Price shortly after leaving the church, allegedly for speeding. KKK members followed Schwerner's car after their release, and the three were never heard from again. On June 23, the FBI discovered the remains of Schwerner's blue station wagon and commenced a search for the bodies. More than 15 suspects, including Price, were indicted and arrested. Years of court battles led to only seven guilty convictions of the 18 defendants, but none for murder charges. In 2005, the 41st anniversary of the murders, Edgar Ray Killen, one of the conspirators, was convicted of manslaughter.